There are some great extra Walgreens deals this week and some starting next week to get ready for early!! 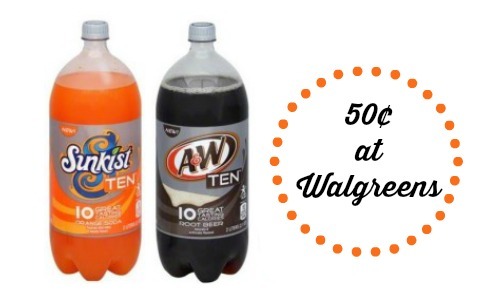 Starting 3/8, use this soft drink coupon to get Sunkist, A&W, 7UP or Canada Dry TEN 2-liters for 50¢ each! My other favorite is FREE Pull Ups Wipes. Even if you don’t have a little one, these can still be great to have on hand for messes or to donate. If you are looking for more Walgreens deals make sure to check out the Walgreens weekly ad list of deals.